New World Petaling Jaya Hotel is a special place where warm connections are made – between you and our associates, with your fellow hotel guests, and with the “PJ” residents who come here to dine and be entertained. 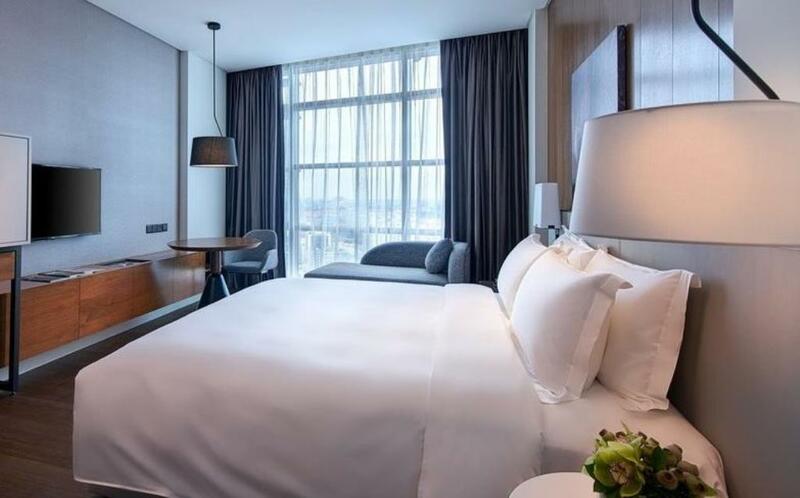 The only top-tier hotel in the Kelana Jaya district, this luxury hotel occupies a prestigious address, integrated within a complex including Paradigm Mall, Ascent Office Tower and Azure Residences. The design style throughout the hotel is bold and contemporary, yet warmly welcoming, all within airy spaces flooded with natural light. 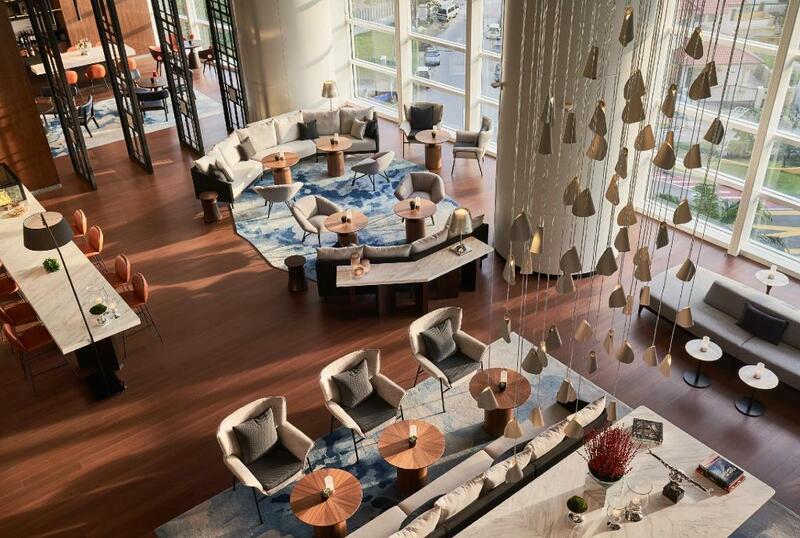 Tactile materials – metal, marble, leather, natural timber and abundant bamboo flooring – provide a striking textural backdrop for subtle Malaysian motif accents and art. Dining and entertaining with friends is a Malaysian national pastime, and New World Petaling Jaya Hotel fulfils epicurean desires deliciously, with a variety of distinctive venues offering everything from Malaysian cultural cuisines, classic Western grilled dishes and afternoon sweet treats to cocktails that pack a punch. The standalone, elegant grand ballroom, bridge-linked directly to the hotel, as well as flexible meeting spaces, and professional event and catering team, turn every event, celebration, retreat, conference and of course, wedding, into an unforgettable occasion. The stylish Residence Club offers enhanced levels of privacy and special privileges for those staying on its executive floors or in a suite, with access to the Residence Club Living Room with dedicated concierge and complimentary refreshments throughout the day. For families and those with more than work on their minds, New World Petaling Jaya Hotel is a convenient home base to explore some of Malaysia’s most famous landmarks and attractions, close by to less than an hour’s drive away. Business travelers appreciate New World Petaling Jaya Hotel’s handy proximity to local commercial districts and the capital, only 45 minutes from Kuala Lumpur International Airport, 30 minutes from Petronas Twin Towers, 15 minutes from Subang Sultan Abdul Aziz Shah Airport and 10 minutes from Kelana Jaya LRT Station.